Sandra Kay Yow (March 14, 1942 – January 24, 2009) was an American basketball coach. She was the head coach of the NC State Wolfpack women's basketball team from 1975 to 2009. A member of the Naismith Hall of Fame, she had more than 700 career wins. She also coached the U.S. women's basketball team to an Olympic gold medal in 1988 despite having been diagnosed with breast cancer in 1987. In April 2010, CollegeInsider.com created a new award called the Kay Yow National Coach of the Year Award in her honor. It will be presented annually to the women's college basketball head coach who displays great personal character on and off the court. Yow received her Bachelor of Science degree in English from East Carolina University in 1964, she was a member of the Delta Zeta Sorority. After graduation she worked as English teacher, librarian and girls' basketball coach at Allen Jay High School in High Point, North Carolina. She then earned her Master's degree in Physical Education from UNC-Greensboro in 1970 and then took the position of women's athletics coordinator and women's basketball coach at Elon College. In 1975, Yow became NC State's first full-time women's basketball coach and also coached women's volleyball and softball. She led the women's basketball team to an ACC championship in the first season of league play in 1978. On January 11, 2001, she reached the 600-win milestone for her career with a 71–64 win over Temple University. On February 5, 2007, she reached the 700-win milestone for her career with a 68–51 win over Florida State University. At the time of her death, she ranked as the fifth winningest active NCAA Division I women's basketball coach. In recognition for her dedication and success, Yow was selected for induction into the Women's Basketball Hall of Fame in 2000 and the Naismith Memorial Basketball Hall of Fame on June 5, 2002, the fifth female coach to be selected. On February 16, 2007, the basketball court at Reynolds Coliseum was renamed Kay Yow Court in her honor. On July 11, 2007, Yow received the inaugural Jimmy V ESPY Award for Perseverance, an award named for fellow NC State basketball coach and friend Jim Valvano. She received a standing ovation. Yow also coached the silver-medal-winning U.S. women's basketball team in the 1981 World University Games; the 1986 gold-winning U.S. teams in the Goodwill Games and the FIBA World Championship; and the gold-medal-winning U.S. women's basketball team in the 1988 Seoul Olympics. Yow was the assistant coach of the team representing the USA at the World University Games held in Mexico City, Mexico in August 1979. The opening game was against Costa Rica, and the USA almost outscored them by triple digits, falling just shy at 132–34. The next three games were closer, but all margins were in double digits. The fifth game was against the USSR who had won the event in 1973 and 1977. The Soviet team led at halftime, but the USA team outscored the USSR by three points in the second half to win 83–81, the first win by the USA over the USSR in a major competition in two decades. The next game was a rematch against Canada, the team they had beaten by 14 points a few days earlier. This time the Canadian team would take a nine-point lead at halftime, but the USA team came back and won 68–60. The final game of the competition was against Cuba, which the USA won 73–60 to claim their first gold medal in a World University Games event. Yow was the head coach of the team representing the USA at the World University Games held in Bucharest, Romania in July 1981. The team started with a game against Finland and won easily, 68–49. 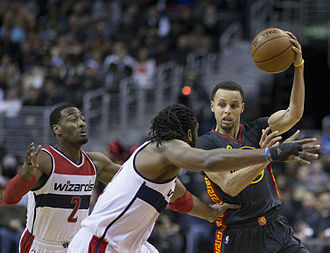 They trailed at halftime in their next game against China, but came back to win a close game 76–74. After beating Poland, they played Czechoslovakia in a game that was close at the half, but the USA team went on to win 86–67. In the following game against Canada, the USA team was again behind at the half, but played a close match in the second half and pulled ahead to win 79–76. Despite being undefeated, they needed a win against Romania to advance to the gold medal came. They had only a one-point lead at halftime, but went on to win 75–64 to meet the undefeated USSR for the gold medal. The USA fell behind by sixteen and could not close the gap—the USSR team won 98–79 to claim the gold medal, leaving the USA with the silver. 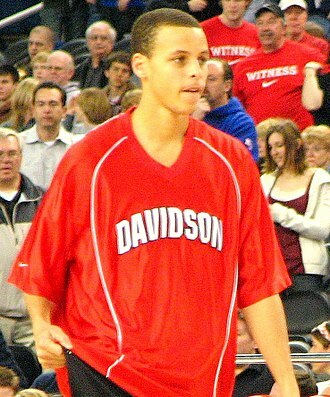 Denise Curry was the leading scorer for the USA team with 18.1 points per game. Anne Donovan led the team in rebounds with 6.7 per game. Yow served as an assistant coach of the team representing the USA in 1984 at the William Jones Cup competition in Taipei, Taiwan. The team chosen to represent the USA was the team expected to be selected as the National Team for the Olympics. This resulted in a very strong team which was able to dominate the competition. In the opening game against Australia, the USA won 82–20. While other games were closer, Italy's 23-point loss to the USA was the closest of the eight games. 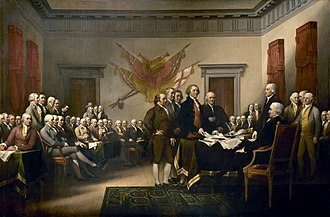 The USA won all eight games, and won the gold medal. The USA team was led by Cheryl Miller, who led the team in scoring at over 15 points per game, rebounding, free throw percentage, assists and steals. Miller was named to the All-Tournament Team, along with Lynette Woodard, and Denise Curry. Yow was named head coach of the USA National Team which would compete at the 1986 World Championships and the 1990 Olympics. The World Championships were held in Moscow, Soviet Union in August. The USA team started strong with a more than 50-point victory over Taipei. The USA team continued to dominate their opponents, winning the next three preliminary rounds games, with a 15-point victory over Hungary being the closest margin, then advanced to the medal play rounds. They defeated China in the quarterfinals, and Canada in the semifinals, to set up the championship match against the undefeated host Soviet Union. Although the USA had recently defeated the Soviets in the Goodwill Games, Americans wanted to demonstrate that the victory was no "fluke". The Soviet team was taller, but the USA team was able to outscore them. The USA team started the game with the first eight points, and had a 15–1 run during the second half, and won in convincing fashion 108–88 to win the gold medal and the world championship. Every one of the starters achieved double-digit scoring in the final game, led by Cheryl Miller who had 24 points along with 15 rebounds in the championship game. Coach Yow and her two sisters are natives of Gibsonville, North Carolina. They were all three active in collegiate sports. Deborah Yow is the athletic director at North Carolina State University, and Susan Yow coached women's basketball at the University of North Carolina at Wilmington, Kansas State University, Drake University, East Tennessee State University, Providence College, and Belmont Abbey College. Susan Yow was in her second season as head coach at Belmont Abbey College. Susan served as an assistant coach for two now-defunct WNBA teams, the Charlotte Sting and the Cleveland Rockers. In 2006, Susan was named as an assistant coach with the Minnesota Lynx, but resigned along with head coach Suzie McConnell-Serio on July 23, 2006. After her 1987 breast cancer diagnosis, Yow became active in raising awareness as well as money to battle the disease. In 2007, the Kay Yow/WBCA Cancer Fund was instituted by the Women's Basketball Coaches Association and the V Foundation for Cancer Research, of which she served on the board of directors. Her cancer recurred in November 2004 and she began radiation treatments the following month after having surgery. Yow had been on a leave of absence from coaching since early January 2009 because of her disease. She died from stage 4 breast cancer on January 24, 2009. In her obituary, the Charlotte Observer said, "Yow never lost her folksy, easygoing manner and refused to dwell on her health issues, though they colored everything she did almost as much as basketball. Ultimately, her philosophy on both were the same." Yow planned her own funeral before she died and recorded a 25-minute video to be played at the service. More than 1,400 people attended the funeral on January 30 at Colonial Baptist Church in Cary, as Yow thanked her supporters on the video. "And now I say farewell," she bade the mourners, "and it's been a wonderful journey, especially since the time I accepted Jesus as my Lord and Savior". 2007—Coach Yow received the Mildred "Babe" Didrikson Zaharias Courage Award from the United States Sports Academy in recognition of courageous action in overcoming adversity to excel in sport. ^ Beard, Aaron (2009-01-24). "Longtime NC State women's coach Kay Yow dies at 66". The Associated Press. Retrieved 2009-01-24. ^ "N.C. State women's hoops coach Kay Yow dies". NBC Sports. 2009-01-24. Retrieved 2009-01-25. ^ Historical State: History in Red and White. "Kay Yow coaches in the Olympics (1988)". Archived from the original on 14 May 2012. Retrieved 23 December 2011. ^ a b c d "A chronology of Kay Yow's life". News and Observer. 2009-01-24. Archived from the original on 2009-01-27. ^ "Hall of Famers". Basketball Hall of Fame. Archived from the original on 2009-08-31. Retrieved 2009-08-01. ^ Historical State: History in Red and White. "Kay Yow is inducted into the Women's Sports Hall of Fame (1987)". Archived from the original on 14 May 2012. Retrieved 23 December 2011. ^ a b "NC State moves on without Yow". Sports Illustrated. January 7, 2009. Archived from the original on February 2, 2009. Retrieved 2009-01-24. ^ "Tenth World University Games -- 1979". USA Basketball. Archived from the original on 7 September 2015. Retrieved 13 October 2015. ^ "Eleventh World University Games -- 1981". USA Basketball. Archived from the original on 7 September 2015. Retrieved 13 October 2015. ^ "1984 WOMEN'S R. WILLIAM JONES CUP". USA Basketball. Archived from the original on 28 April 2013. Retrieved 18 May 2013. ^ "TENTH WORLD CHAMPIONSHIP FOR WOMEN -- 1986". USA Basketball. Archived from the original on 25 May 2013. Retrieved 17 May 2013. ^ "NCSU women's basketball coach Kay Yow to take leave of absence". Chatham Weekly Journal. 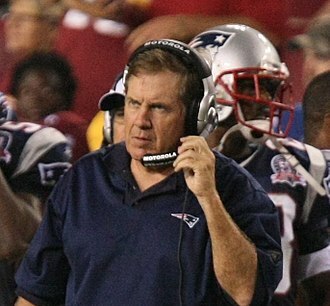 November 22, 2006. Retrieved 2009-01-24. ^ "Beloved women's basketball coach Kay Yow dies". CNN. 2009-01-24. Retrieved 2009-01-25. ^ Beard, Aaron (January 24, 2009). "Longtime NC State women's coach Kay Yow dies at 66". Associated Press. Retrieved 2009-02-06. ^ a b "Kay Yow (obituary)". Charlotte Observer. January 30, 2009. Retrieved 2009-02-06. ^ "NCSU's Yow dies after long cancer fight". Triangle Business Journal. January 24, 2009. Retrieved 2009-01-24. ^ a b c "Yow bids farewell in 'amazing' video". Tampa Tribune. January 31, 2009. p. Sports 3. ^ "Amos Alonzo Stagg Coaching Award". ASAMA - The American Sport Art Museum and Archives. Archived from the original on 2014-02-01. Retrieved 6 Oct 2012. ^ "Carol Eckman Award". Women's Basketball Coaches Association. Archived from the original on 2014-07-15. Retrieved 1 Jul 2014. ^ "Coach Yow Receives Courage Award From U.S. Sports Academy". WRALSportsFan.com. 2008-04-14. Retrieved 2015-07-16. ^ "ESPN's Play 4Kay Initiative to Feature Nine Top 25 Teams". Kayyow.com. 2013-09-04. Archived from the original on 2015-07-17. Retrieved 2015-07-16. High Point is a city located in the Piedmont Triad region of the State of North Carolina. 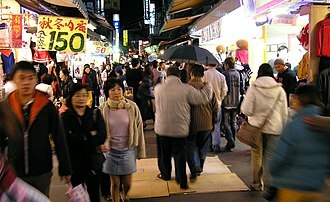 As of the 2010 census the city had a population of 104,371. High Point is currently the ninth-largest municipality in North Carolina, High Point is known for its furniture and bus manufacturing. The city is referred to as the Furniture Capital of the World. The citys official slogan is North Carolinas International City due to the semi-annual High Point Furniture Market that attracts 100,000 exhibitors and buyers from around the world. Most of the city is located in Guilford County, with portions spilling into neighboring Randolph, High Point is North Carolinas only city that extends into four counties. Among the first Europeans to settle Guilford County were English Quakers, High Point was located at the highest point of the 1856 North Carolina Railroad between Charlotte and Goldsboro where it intersected the 1852 Great Western Plank Road. Its central location and transportation allowed for the delivery of raw materials like cotton and lumber and processed goods in and out of the city, settled before 1750, High Point was incorporated in 1859. Before it became a manufacturing center, the most important industries were tobacco, woodworking. The first of many High Point furniture factories was opened in 1889, established in 1924, High Point University is a liberal arts institution with approximately 4,400 undergraduate and graduate students from 51 countries and 46 states. It is ranked by U. S. News and World Report 2013 edition of Americas Best Colleges 1st among comprehensive universities in the South, the university offers 44 undergraduate majors,10 graduate-degree programs and one doctorate program. 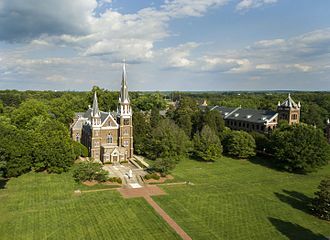 It is accredited by the Commission of Colleges of the Southern Association of Colleges and Schools, and is a member of the NCAA Division I, High Point is the only city in North Carolina that exists within four counties, Forsyth and Randolph. It stands within two watersheds, the Yadkin–Pee Dee to the west and the Cape Fear to the east. Parts of the city rise above 1,000 feet, making it among the highest cities in North Carolinas Piedmont, High Point is located at 35°58′14″N 79°59′51″W. North Carolina State University is a public research university located in Raleigh, North Carolina, United States. It is part of the University of North Carolina system and is a land, the university forms one of the corners of the Research Triangle together with Duke University in Durham and The University of North Carolina at Chapel Hill. The North Carolina General Assembly founded the North Carolina College of Agriculture and Mechanic Arts, now NC State, on March 7,1887, Today, NC State has an enrollment of more than 34,000 students, making it the largest university in the Carolinas. NC State has historical strengths in engineering, agriculture, life sciences and design, the graduate school offers 104 masters degrees,61 doctoral degrees, and a Doctor of Veterinary Medicine. The North Carolina General Assembly founded NC State on March 7,1887 as a land-grant college under the name North Carolina College of Agriculture, in the segregated system, it was open only to white students. As a land-grant college, NC State would provide a liberal and practical education while focusing on tactics, agriculture. Since its founding, the university has maintained these objectives while building on them, after opening in 1889, NC State saw its enrollment fluctuate and its mandate expand. In 1918, it changed its name to North Carolina State College of Agriculture, during the Great Depression, the North Carolina state government, under Governor O. Max Gardner, administratively combined the University of North Carolina, the Womans College, and NC State. This conglomeration became the University of North Carolina in 1931, following World War II, the university grew and developed. Bill enabled thousands of veterans to college, and enrollment shot past the 5,000 mark in 1947. State College created new programs, including the School of Architecture and Landscape Design in 1947, the School of Education in 1948. In the summer of 1956, following the US Supreme Court ruling in Brown v, in 1962, State College officials desired to change the institutions name to North Carolina State University. Consolidated university administrators approved a change to the University of North Carolina at Raleigh, frustrating many student, in 1963, State College officially became North Carolina State of the University of North Carolina. The University of North Carolina at Wilmington, sometimes referred to as UNC Wilmington, is a public, co-educational university located in Wilmington, North Carolina, United States. UNCW enrolls 15,740 undergraduate and doctoral students each year as part of the 17-campus University of North Carolina System, UNCW opened its doors on September 4,1947 as Wilmington College. Further accreditation came in 1952 from the Southern Association of Colleges, six years later, July 1,1969, the name of the school was changed to The University of North Carolina at Wilmington, making UNCW the fifth campus of the University of North Carolina system. On August 22,1977, UNCW was authorized to offer its first graduate programs at the masters level, the school offers 54 bachelors degrees,29 masters degrees and four doctoral degrees, Ed. D. Marine Biology and Psychology and a Doctorate in Nursing Practice, the university offers degrees in humanities, health and professional fields. The university’s highly ranked marine science program draws a variety of undergraduate and graduate students from across the United States, the proximity to the Atlantic Ocean is a draw for incoming freshmen. Teal is the school color of UNCW, with navy. 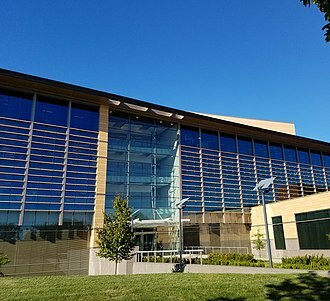 The average high school GPA was 4.13 for incoming freshmen in 2016, in 2000, the Student Recreation Center was opened to students and faculty members. It houses three basketball courts, exercise machines, a training area, an indoor running track. It includes an exercise room which supports multiple clubs and activities, including Yoga, Pilates. In 2012, the Student Recreation Center completed an expansion of facilities and this construction doubled the size of the existing Recreation Center. Some notable Lumina events included a multi-part, high-definition screening of BBCs Planet Earth series over the span of several weekends, Galloway Hall is UNCWs first residence facility on campus, and has a standard hall-style double room arrangement with shared bathrooms for the entire hall. Housing 400 students, predominately first-years, Galloway has a social atmosphere. Graham-Hewlett and Belk residence halls are configured in suite-style hall arrangements with up to eight individuals sharing a bathroom, graham-Hewlett houses 384 residents and Belk houses 192 residents, and both facilities consist of predominately first-year students. Providence College is a private, Roman Catholic university located about two miles west of downtown Providence, Rhode Island, United States, the states capital city. With a 2012–2013 enrollment of 3,852 undergraduate students and 735 graduate students and it is the only college or university in North America administered by the Dominican Friars. 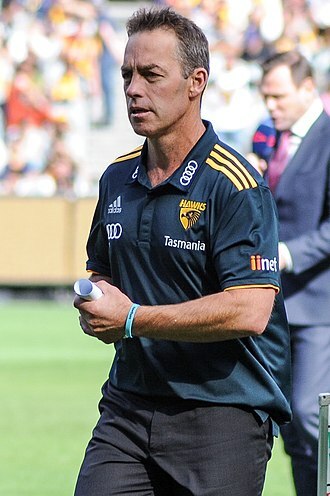 Brian Shanley has been the president since 2005. In athletics, Providence College competes in the NCAAs Division I and is a member of the Big East Conference. In December 2012, the College announced it and six other Catholic colleges would leave the Big East Conference to form its own league, taking them the Big East name. In 1917, Providence College was founded as a school through the efforts of the Roman Catholic Diocese of Providence. 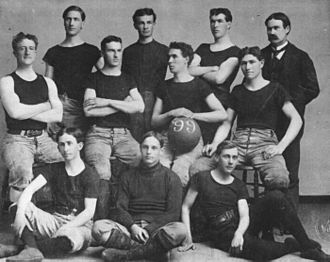 Under second president William D. Noon, O. P. the college added its first lay faculty member and opened its first dormitory, Providence College athletics soon received their moniker as the Friars. With black and white as team colors, the school had early success in basketball, football, in 1933, the school received regional accreditation by the New England Association of Schools and Colleges. The college conferred its first Master of Arts, Doctor of Philosophy, and Master of Science degrees by 1935, unit #1188 arrived on campus in the Summer of 1943, allowing the college to continue operation. A class of approximately 380 soldiers-in-training studied engineering at Providence College for a year before going overseas, Robert J. Slavin, O. P. served as president from 1947 to 1961. During his tenure in 1955, Providence acquired the House of Good Shepard property that pushed the boundaries of campus to Huxley Avenue. Slavin oversaw the establishment of the Reserve Officers Training Corps on campus in 1951, the athletics program of the college gained acceptance into the National Collegiate Athletic Association in 1948. Prior to the opening of Alumni Hall in 1955, the basketball team played in local Providence high schools. The college hired Joe Mullaney as the basketball coach. Dore, O. P. opened the doors of the graduate school as well as a new dormitory building. President William P. Haas, O. P.
Temple University is a state-related-public doctoral university located in Philadelphia, United States. It was founded in 1884 by Baptist Minister Russell Conwell, in 1882, Conwell came to Pennsylvania to lead the Grace Baptist Church while he began tutoring working class citizens late at night to accommodate their work schedules. These students, dubbed night owls, were taught in the basement of Conwells Baptist Temple, hence the origin of the universitys name, by 1907, the institution revised its institutional status and incorporated as a university. In 2015, Temple received $227.5 million in funding, ranking it 93rd out of 905 institutions in the NSF’s Higher Education Research. Temple is among the nations largest providers of education, preparing the largest body of professional practitioners in Pennsylvania. Conwell came to Pennsylvania in 1882 to lead the Grace Baptist Church while he began tutoring working class citizens late at night to accommodate their work schedules. These students, dubbed night owls, were taught in the basement of Conwells Baptist Temple, hence the origin of the universitys name, the Grace Baptist Church quickly grew popular within the North Philadelphia area. A temporary board of trustees was created to handle the rapidly growing formalities associated with the churchs programs, when the board conducted its first meeting they named Russell H. Conwell president of The Temple College. Within the following months, Grace Baptist Church appointed a new board of trustees, printed official admissions files, regardless of whether they had the resources to support the school, Conwell’s desire was “to give education to those who were unable to get it through the usual channels”. Philadelphia granted a charter in 1888 to establish “The Temple College of Philadelphia”, by 1888, the enrollment of the college was nearly 600. It was in 1907 that Temple College revised its institutional status, Legal recognition as a university enhanced Temple in noticeable ways including its reputation and graduate programs, overall enrollment, and financial support. 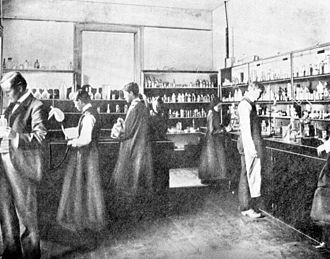 Over time, Temple expanded, Samaritan Hospital was founded, a Medical School was added, after the merger, Temple officially reincorporated as Temple University on December 12,1907. The Pan-American or Pan American Games is a major sporting event in the Americas featuring summer sports, in which thousands of athletes participate in a variety of competitions. The competition is held among athletes from nations of the Americas, the only Winter Pan American Games were held in 1990. The Pan American Sports Organization is the body of the Pan American Games movement, whose structure. The XVII Pan American Games were held in Toronto from July 10–26,2015, since 2007, host cities are contracted to manage both the Pan American and the Parapan American Games, in which athletes with physical disabilities compete with one another. The Parapan American Games are held following the Pan American Games. The Pan American Games Movement consists of sports federations, National Olympic Committees that are recognized by PASO. As the decision-making body, PASO is responsible for choosing the host city for each Pan American Games, the host city is responsible for organizing and funding a celebration of the Games consistent with the Olympic Charter and rules. The Pan American Games program, consisting of the sports to be contested at the Games, is determined by PASO, the celebration of the Games encompasses many rituals and symbols, such as the flag and torch, and the opening and closing ceremonies. Over 5,000 athletes compete at the Pan American Games in 36 sports, the first and third-place finishers in each event receive gold and bronze medals, respectively. At the first Pan American Sports Congress, held in Buenos Aires in 1940, the plans had to be postponed because of World War II. A second Pan American Sports Congress held in London during the 1948 Summer Olympics reconfirmed Buenos Aires as the choice of host city for the inaugural games, countries that were part of the Commonwealth of Nations such as Canada did not compete at the first Pan American Games. The second games were held in Mexico City, competitions started on March 12 and included 2,583 athletes from 22 countries, competing in 17 sports. The Pan American Games were held every four years in the cities of Chicago, United States in 1959, São Paulo, Brazil in 1963 and Winnipeg. William Neal Reynolds Coliseum is a multi-purpose arena located in Raleigh, North Carolina, on the campus of North Carolina State University. The arena was built to host a variety of events, including agricultural expositions and it is now home to all services of ROTC and several Wolfpack teams, including womens basketball, womens volleyball, womens gymnastics, and mens wrestling. The university named the court in Reynolds Kay Yow Court on February 16,2007 with the assistance of a donation from the Wolfpack Club. That same night, the Wolfpack women upset #2 North Carolina, NC State Alumnus David Clark originally petitioned for the construction of the arena in 1940 after rain had ruined a North Carolina Farmers Week meeting held in an outdoor facility. The North Carolina General Assembly approved plans for the coliseum, a steel shortage threatened to delay the construction of the coliseum. However, because the proposed coliseum was to be used as an armory, the foundation work and structural steel support system was completed by 1943 but construction was stopped due to US involvement in World War II. After the war the university was preoccupied with the building of housing and classroom facilities, the arena was completed the following year and named in honor of William Neal Reynolds of Winston-Salem, North Carolina. This was accomplished by expanding the structure at each end and it was the largest arena in the Southeast for many years. 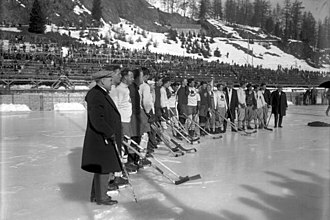 The first mens game was played on December 2,1949. NC State defeated Washington and Lee, 67-47, not all the seats had been installed at that time and many fans had to sit on the cement tiers. The first womens basketball game was played on December 7,1974, mens basketball moved to the Raleigh Entertainment and Sports Arena in 1999. The Wolfpack men have played a December regular-season heritage game at Reynolds Coliseum in recent years, Reynolds Coliseum was the original site of the ACC mens basketball tournament from 1954–1966, the Dixie Classic tournament from 1949–1960, and the Southern Conference mens basketball tournament. It has hosted the NCAA mens basketball tournament as a Regional site eight times and it has hosted the womens basketball tournament eleven times, only one of which was a regional site. 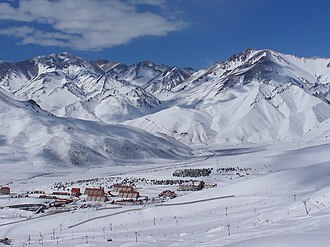 Las Leñas, Argentina, hosted the Pan American Winter Games. Swimmer Thiago Pereira of Brazil has a record 23 Pan American medals. Here he holds a gold medal during the 2007 edition. North Carolina State Normal and Industrial School, ca. 1906. Holladay Hall, the first building built on NC State's campus in 1889, now houses the Chancellor's Office. NC State's PULSTAR Reactor is a 1 MW pool-type nuclear research reactor. Taipei's Old North Gate completed in 1884. 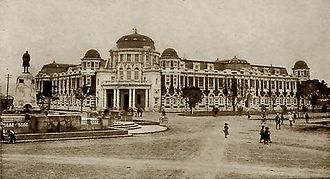 The Taihoku Prefecture government building in the 1910s (now the Control Yuan building). The city of Taipei, as seen from Maokong. The look of the court before renovation.